Kabir News Tech Will Google Glass Kill the Cell Phone? Will Google Glass Kill the Cell Phone? There’s no doubt Google is one of the main characters in the tech world. And this last couple of months have been quiet hectic as well. 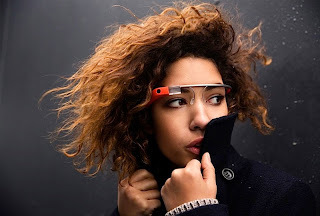 Google announced in 2012 that they were developing a big project: Google Glass. From the moment of the announcement, Google Glass has been under the spotlight. Whether you are an advocator or an opponent, there’s something you can’t deny, Google Glass will revolutionize the hi-tech world in the way touch screens did when they arrived into the market back in 2007. We don’t know much about this project, but what we do know is that Google Glass has a big potential, the potential of changing communication as we know it. Perhaps cell phones, as a consequence, will become obsolete devices. Google Glass is a still a project under development: a pair of glasses incorporated with a camera and a led light. This is enough to offer the user some features that will probably make them wonder whether they will ever need a cell phone again. Google Glass displays its menu on the little glass and by tilting your head you can choose to take a picture, record a video, make video calls, get directions to get and search for information on Google. Up to here is pretty much the same you were able to do with your smart phone, but the most promising feature of Google Glass is that you will be able to do all of that without a cell phone, and still better, without using your hands. You only need to use your voice, say “Ok Glass, take a picture.” and Google Glass will take a picture for you. Say “Ok Glass, record a video.” and Glass will record a video for you. The arrival of the smart phones, as everything in this world, has two different sides. The positive one, that enables you to always stay communicated, and the dark side. A lot has been said about the negative side; that smart phones produce addiction and isolation, because you are communicated 24/7. There has even been a campaign to raise awareness about all the things you are missing while you are typing and looking at that screen: your children, your friends, and family moments. Unfortunately, all of that goes unnoticed. Google Glass is perhaps the solution to that problem. There is no need for you to isolate, you can go on doing whatever you were doing, and Glass will take care of the rest so that you won’t lose a moment. Play with your kids and ask Glass to take a picture. Watch a beautiful sunset and ask Glass to make a video call so that you share that beauty with somebody else. Travel anywhere and ask Glass to help you with the translation so that language is not a barrier. Do it without using your hands. Just use your voice. About the Author: Mariana González Palau – New Technologies at elMejorTrato.com – Seguros en San Cristobal.